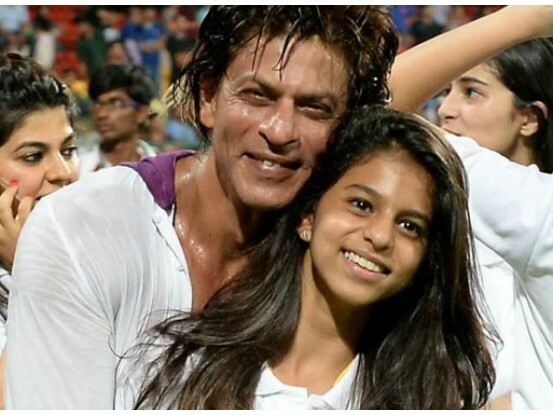 A few months ago, the photographs of Shah Rukh Khan’s daughter Suhana in a bikini went viral, and social media went crazy with this scoop. A few months ago, the photographs of Shah Rukh Khan’s daughter Suhana in a bikini went viral, and social media went crazy with this scoop. SRK requested the removal of these photos from media websites. As a father, he was unhappy with the controversy. "She was in a bikini, she was on a beach, and she was with her little brother. You went ahead and wrote a headline, "SRK's daughter flaunts her body." Is it a little cheap? Maybe I felt it was." SRK also stated that it happened not because of her, but him. The fact that he is a public figure and she is his daughter, brought the paparazzi in. "I wasn't protecting her from the media - I was protecting her from me. It's my stardom that was the reason that picture made it to the news - it wouldn't have if she wasn't SRK's daughter." he added.